Certified scuba diver looking for something different? 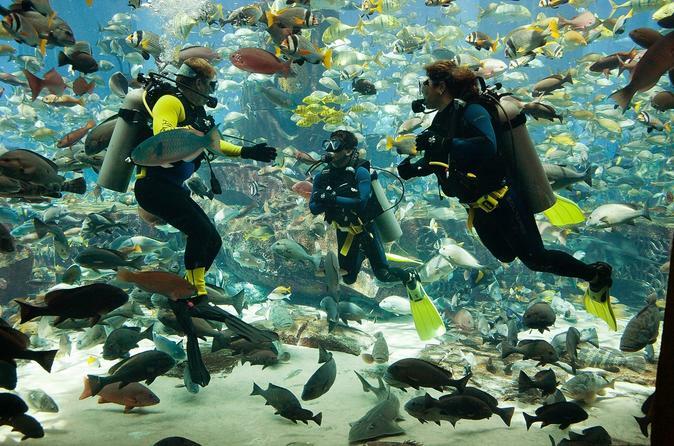 This Predator Dive experience at the Lost Chambers Aquarium at Dubai’s Atlantis The Palm is ideal. Your dive site is the immense Ambassador Lagoon, filled with 65,000 marine creatures and the mock relics of Atlantis. Receive an introductory briefing, and explore the marine life and ruins on a familiarization dive.